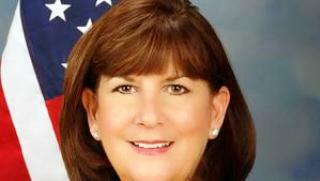 The Palm Beach County Commission on Ethics is looking into records linking Boca Raton Mayor Susan Haynie and prominent local developers James and Marta Batmasian. The ethics commission previously said it could not affirm or deny an ethics investigation. Haynie has been under scrutiny recently over her ties to the Batmasians, which prompted two state and county ethics complaints from her political opponent Al Zucaro. The connections stem from Deerfield Beach-based Tivoli Park Condo Association. Tivoli was headed by Batmasian employees and Haynie received $24,000 from the association for managing it through the company she co-owned at the time, Community Reliance. Since 2013, Haynie has approved several major development projects proposed by Batmasian-owned Investments Limited, the Palm Beach Post reported. One of the most recent projects is the nearly 300 apartments and condos of Royal Palm Place. But Haynie, who is running for a county commission seat, has defended herself with a 2013 ethics opinion from the commission that said she had no conflict of interest. City Attorney Diana Grub-Frieser had requested the opinion on behalf of Haynie. Grub-Frieser’s emails were also included in the records request from the ethics commission. Despite the ruling, the financial ties prompted inquiries from Boca’s City Council this month — members sent a letter to the ethics commission seeking affirmation that Haynie was clear to vote. The letter said the city council members are concerned about the reports. It included news articles from the Sun Sentinel and Palm Beach Post about the ties, as well as emails between the city and the ethics commission. But in a response dated Nov. 28, Mark Bannon, executive director of the ethics commission, said the commission could not “affirm or re-address” the opinion. Haynie on Tuesday called the mention of the fact “cherry-picking,” and said she intends to get more clarification. “I will have conversation with Mr. Bannon to clarify those statements prior to any future votes,” Haynie promised the council. Boca City Manager Leif Ahnell said he plans to invite Bannon to the city to give an overview of ethics and discuss procedure. Bannon previously said the ethics commission does not give opinions on opinions. Alternatively, the city could request another opinion if new facts are presented. “We do not revisit old opinions as a rule,” Bannon said on Nov. 15.